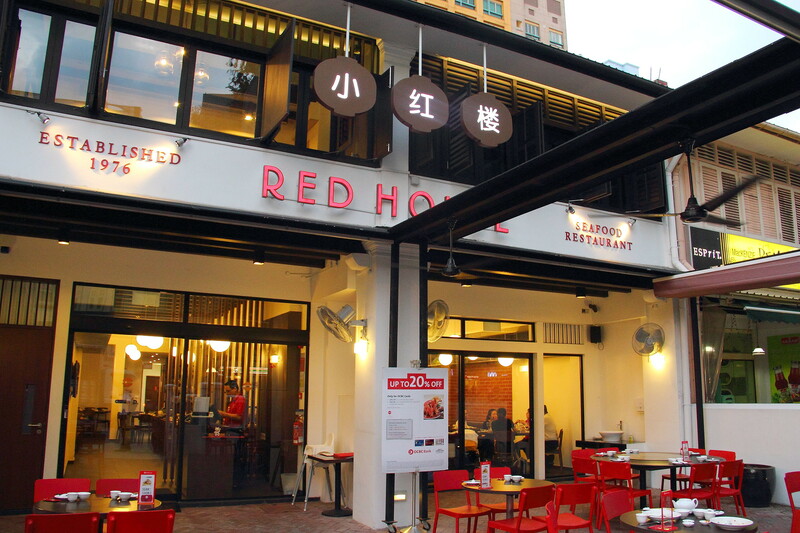 Red House Seafood (小红楼) has been one of my favourite seafood restaurants to go for Chilli Crab all these years. Now there are more reasons for me to go to Red House Seafood (小红楼). Besides its centralize location at Prinsep Street which is near to Bras Basah MRT station, the restaurant is introducing a host of new dishes, set lunch ($38++ for 2pax) and 2 set dinner ($388++ for 6pax) in celebration of its 38th anniversary this year at its Prinsep Street outlet only from now until 30 June 2014. The two celebratory set dinners feature both "Modern" and "Signatures" menu. During my visit, I got to try the 7 course Modern Set Dinner ($388++ for 6pax) that includes a bottle of Champagne or premium white wine or 2 jugs of tiger beer. The modern set dinner menu features a bounty of sustainable seafood that is specially sourced from the pristine waters of Scotland and flown in 3 times a week. The set dinner kicked off with a refreshing Chilled Spicy Whelks ($35) that is lightly tossed in a sweet and spicy Thai dressing and topped with mango and onions. I felt that the onion was a bit overpowering. A bit more of acidity may help to whet up the appetite even more. Caught using environmental friendly methods and flown all the way from Scotland, the Scottish Blue Lobster coated with Sweet Mayonnaise ($148/Kg) is firm and has a natural sweetness that was further lifted by the sweet mayonnaise sauce. Simple and delicious, allowing the natural sweetness of the flesh to shine. 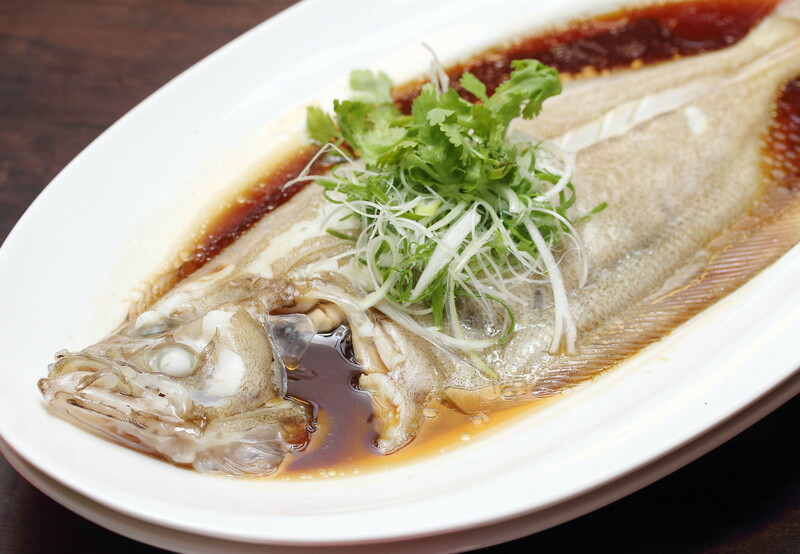 A change from the usual Seabass and Grouper is the Garlic Steamed Megrim Fish ($100/Kg), an uncommon flat fish from the turbot family. I always enjoyed my fish steamed with just garlic, spring onions and quality soy sauce. I really enjoy the silky texture and the delicate taste of the megrim fish. I hope more restaurants will be serving this in the near future. 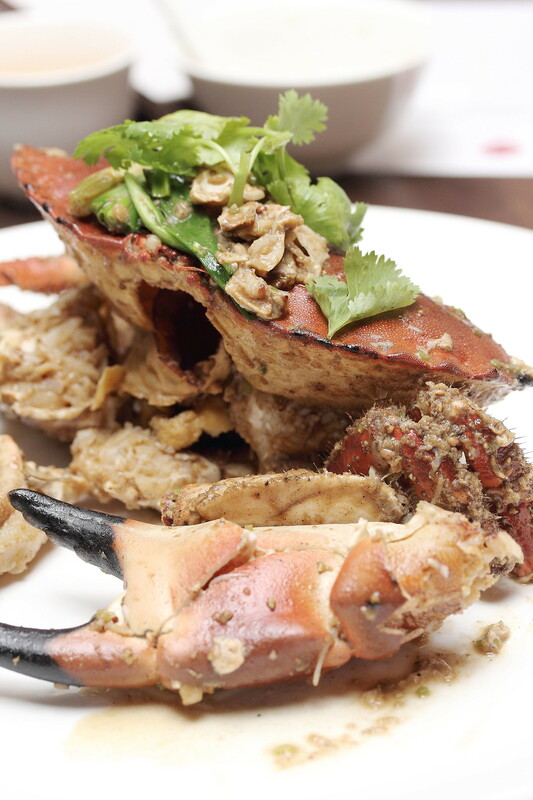 Singaporean loves their crabs and Red House is well known for its Chilli Crab. 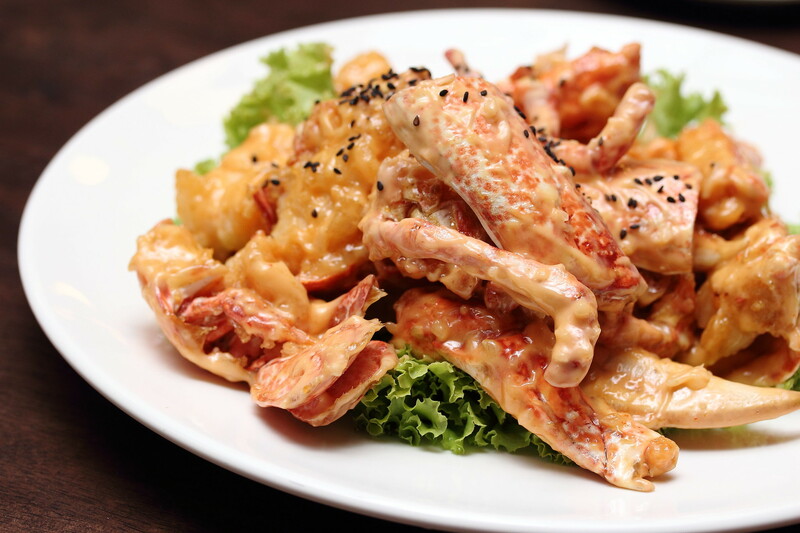 It was even voted as best chilli crab in 2008 by Time Out Singapore Magazine. The latest creation of the Scottish Brown Crabs in White Pepper ($58/Kg) may probably be another award winning dish with its fragrant and spicy white pepper version that complements the flaky flesh. 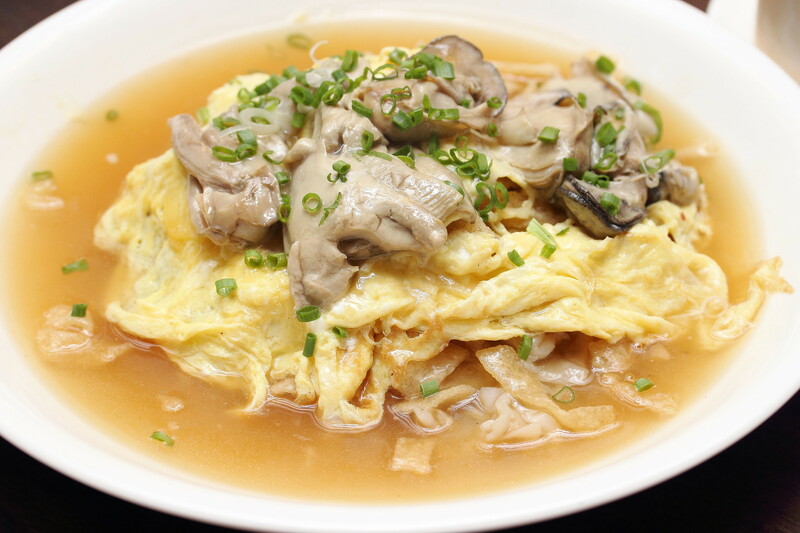 A must try at Red House Seafood is the Oyster Yuan Yang Hor Fun ($20) that comes with deep fried swirls of hor fun and fragrant wok fried rice noodles in a delicious gravy, covered by a bed of egg and huge oysters. 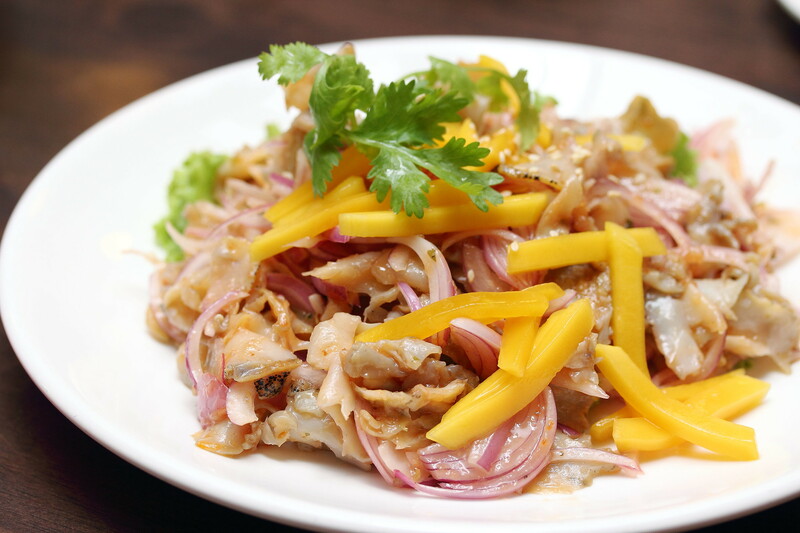 A very scrumptious and luxurious execution of a common zi char dish that is worth every penny. End the seven course dinner with a plate of daily greens and dessert. I did not have the greens as I am already too full but I tried both the Chilled Lime Sherbet with Lemongrass Jelly ($6.80) and Chilled Pomelo with Sago ($4.80) which were both very good and refreshing. I was asked for my preference but I could not made up my mind. So do save space for both desserts. Another dish that I tried is the Spicy Seafood Combination ($28/$42/$56) which comes as a choice between the steamed megrim fish in the modern set dinner and creamy custard prawns in the signatures set dinner. 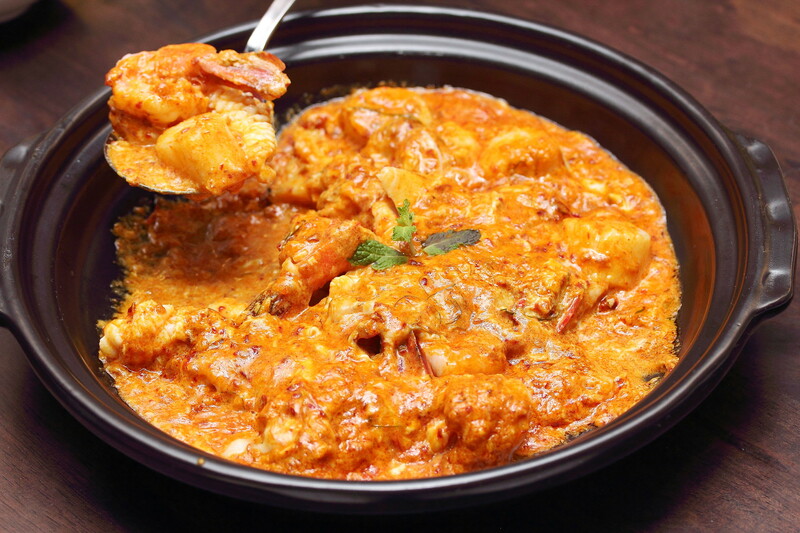 The luxurious pot of seafood is cooked in a very delish gravy that is made up of red chilli, evaporated milk, lemon grass, kaffir lime and some other ingredients. The gravy goes very well with some fried buns too. 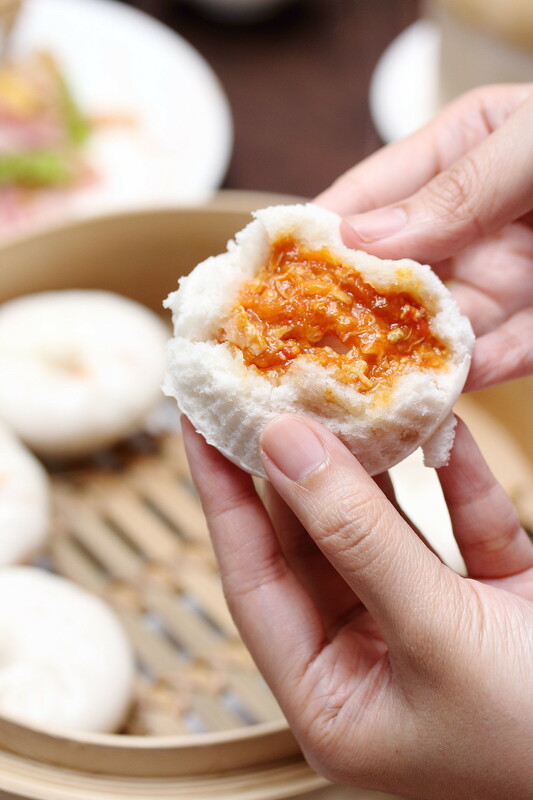 Not to be missed at Red House Seafood is their Steamed Chilli Crab Bun ($8 for 3pc). They do also have the fried version but I like the soft pillowy texture steamed bun which paired very well with the chilli crab filling. I only wished that I can have a bit more of the crab meat in the filling. 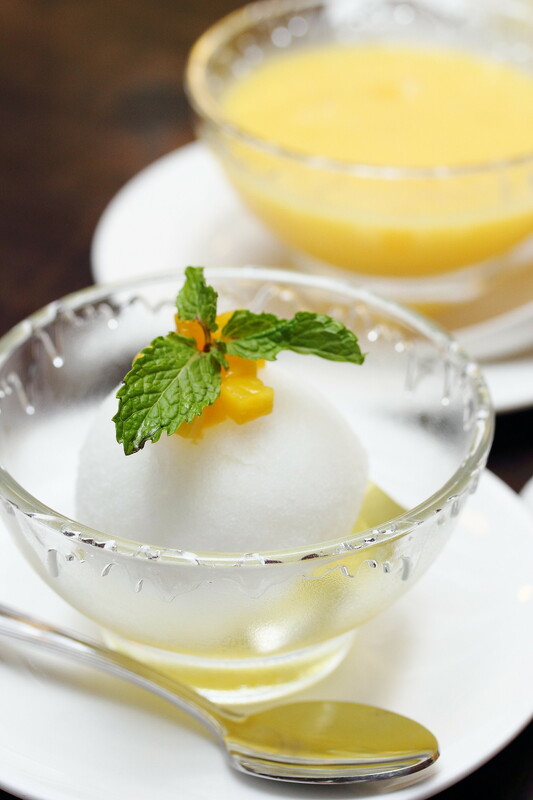 Conveniently located in the heart of town in a beautifully restored three storey shophouse, it is also an idea place for working professionals to enjoy its new 5 course set lunch at only $38++ for 2 persons. The affordable set lunch comes with a Dim Sum basket of siew mai, mixed mushroom dumpling, scallop & chives dumpling and oven baked char siew pau. This is followed by Creamy Custard Prawns, Oyster Yuan Yang Hor Fun, Fried Daily Greens and Durian Mochi. A really value for money set lunch for 2 persons. 1) Alight at Bra Basah MRT station. Take Exit D or E. Walk to junction of Bras Basah Road and Prinsep Street. Turn right onto Prinsep Street. Walk to destination. Journey time about 8 minutes.